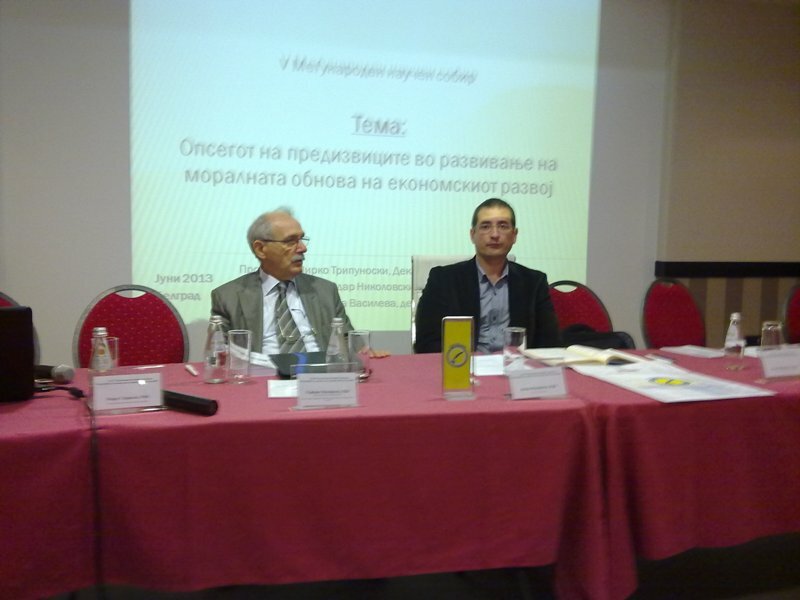 IAE DELEGATION AT THE INTERNATIONAL SCIENTIFIC CONFERENCE "SUSTAINABLE DEVELOPMENT OF TOURISM MARKET - INTERNATIONAL PRACTICE AND RUSSIAN EXPERIENCE"
Three-person delegation consisted of prof. Drago Cvijanović, Ph.D. and Marko Jeločnik from the Institute of Agricultural Economics – Belgrade, and prof. Miroslav Čavlin Ph.D. from the Faculty of Economics and Engineering Management (FIMEK) - Novi Sad were in official visit of the State Agrarian University in Stavropol - Russian Federation, within the period 9-12th of April 2014. 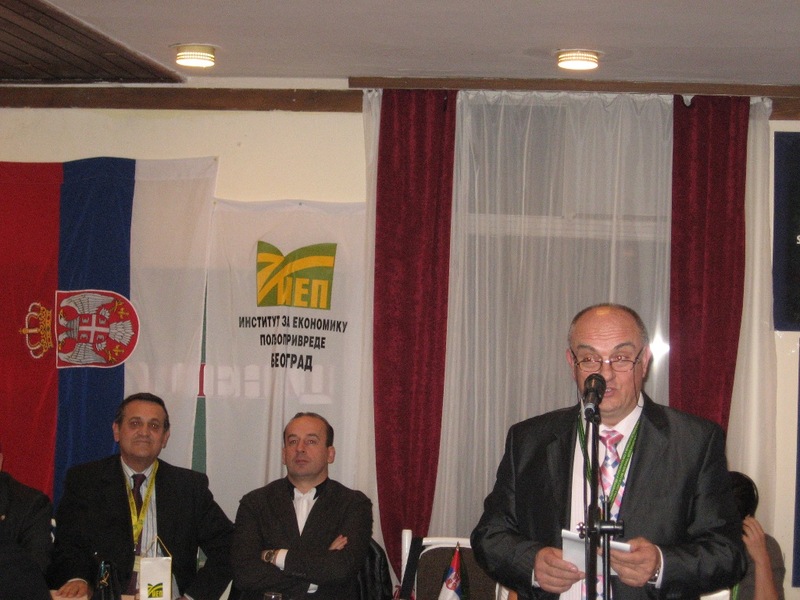 Traditional International Scientific Conference, called: “Sustainable agriculture and rural development in function of achieving strategic goals of the Republic of Serbia within the Danube region – achieving regional competitiveness”, which was held in Topola, in period 05th-07th December 2013 year. 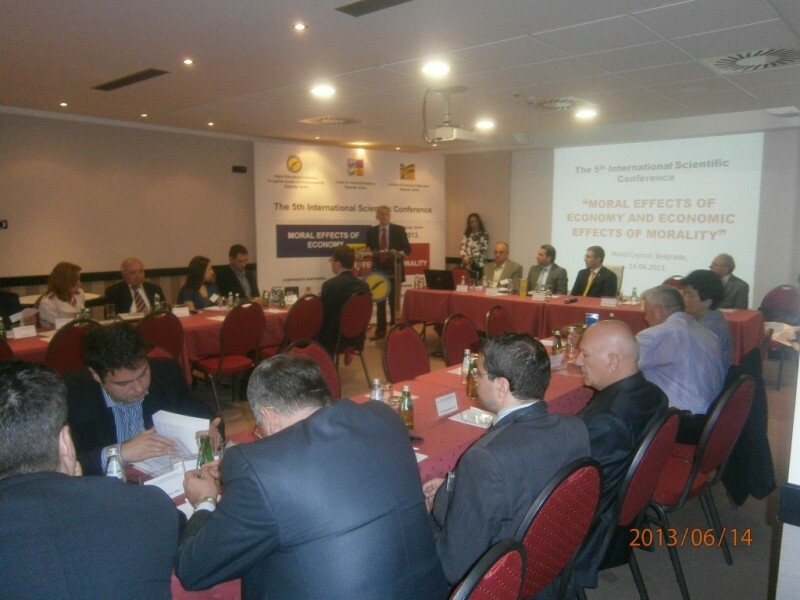 The fifth International Conference: "Economics impact of the morality and moral effects of the economy"
In organization of the Higher Educational Institution for applied studies of Entrepreneurship Belgrade; the Centre for Industrial Relationship, Belgrade and Institute of Agricultural Economics, Belgrade, was held the fifth International Conference: "Economics impact of the morality and moral effects of the economy", in Hotel Crystal, Belgrade, held at 14.06.2013. year.